Check out the other tutorials for the Mosaic Sisters: The Long Tail Cast On and Mosaic Knitting 101. 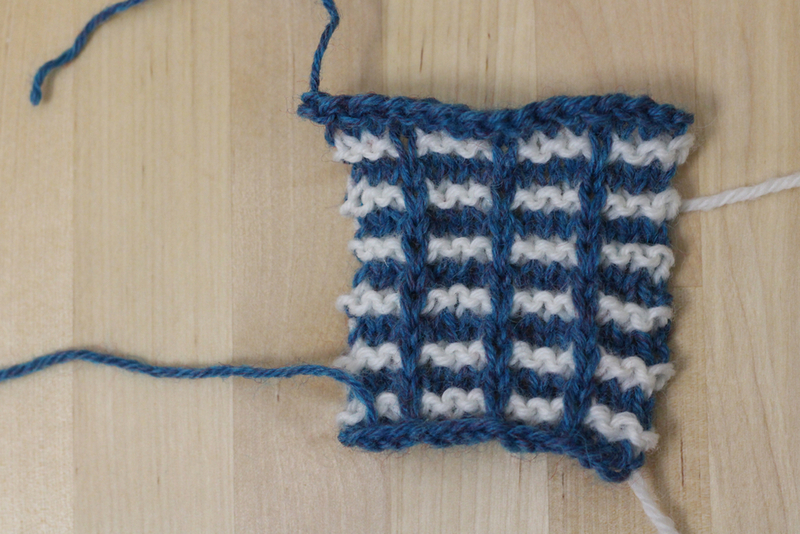 In Mosaic Knitting 101, I showed that mosaic knitting is just stripes and slipped stitches. Knitting stripes is fun, but weaving in ends for every color change is not. The first few times I knit stripes, I cut the yarn at the beginning and end of every color. Ugh. Thankfully, there’s a way to carry yarn up the side of the piece which means you don’t have to spend as much time weaving in ends as you did knitting. The carried yarns will twist together as you work and tuck themselves in nicely behind the edge stitches. If you’re working 2 row stripes there’s only one step to carry your yarns up the side. For the sake of clarity, yellow is Color 1 and white is Color 2. When it’s time to change colors, hold color 1 to the back of the work and start working the next stripe. You can drop Color 1 after you’ve got a few stitches of the new stripe on the needles because the two yarns are now twisted together. Is it possible to hold the yarn to the outside of the work instead of along the back? Definitely, but there is one benefit to holding the yarn to the inside. It’s faster because you always know what strand you just used and what strand to grab next. Plus, it easier to keep the yarns from tangling which means you get to spend your time knitting and not untangling yarn. Which ever direction you choose, be consistent and stick with it for the entire project. So what about when a stripe starts a few stitches in from the edge of work? The Middle Sister of the Mosaic Sisters pattern has a row that starts this way. You’ve got a couple options and neither of them involve cutting the yarn or weaving in more ends. Both choices equally effective, it’s just a matter of what you think looks better. Option 1 is treating the stripes above and below the short stripe as one wide stripe. Begin by holding Color 1 to the back of the work just like with the narrow stripe. 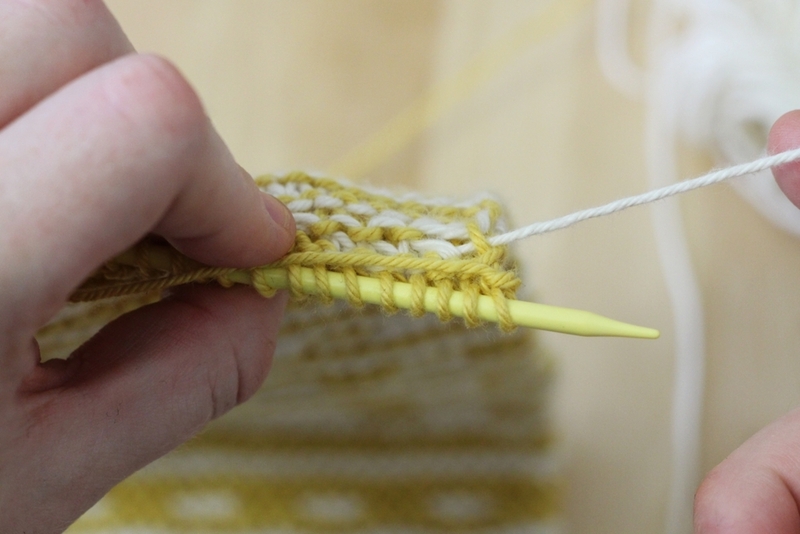 Slip the stitches at the beginning of the row and work the short stripe with Color 2. When you’re finished working the short stripe, twist the two colors together and start working with Color 1 again. 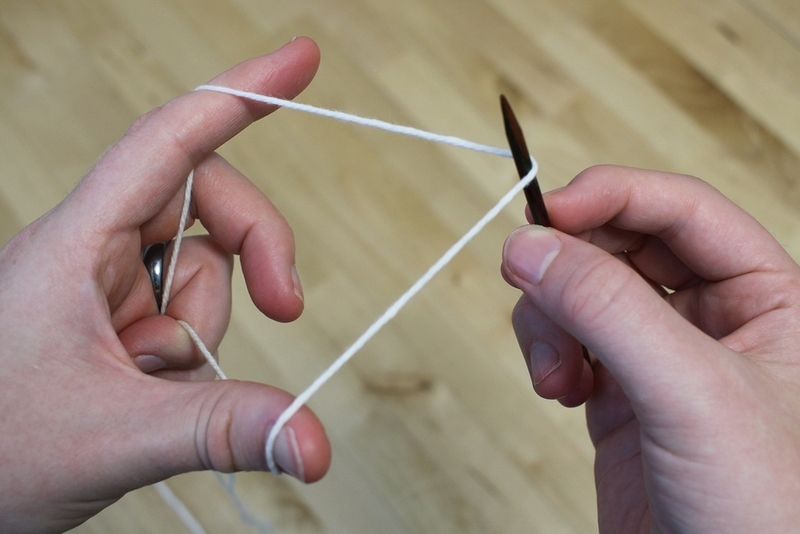 Don’t forget to keep a little slack between the edge and the first knit stitches so the edge doesn’t pucker. Option 2 starts a little differently. When you start the short stripe with Color 2, hold Color 1 (green in this example) to the outside instead of against the back. Finish the short stripe. Now hold Color 2 to the the outside. When you start the next stripe by bringing up Color 1, it holds Color 2 in place. Go back to twisting yarns to the inside until the next short stripe. I know I recommended earlier to twist to the inside, but twisting to the outside on stripes that start away the edge works well in this case. When paired with inside twists, the occasional outside twist prevents longer strands of yarn from being carried up the side and potentially snagging. Check out the other tutorials for the Mosaic Sisters: The Long Tail Cast On & Stripes And Carrying Yarn Up The Side. 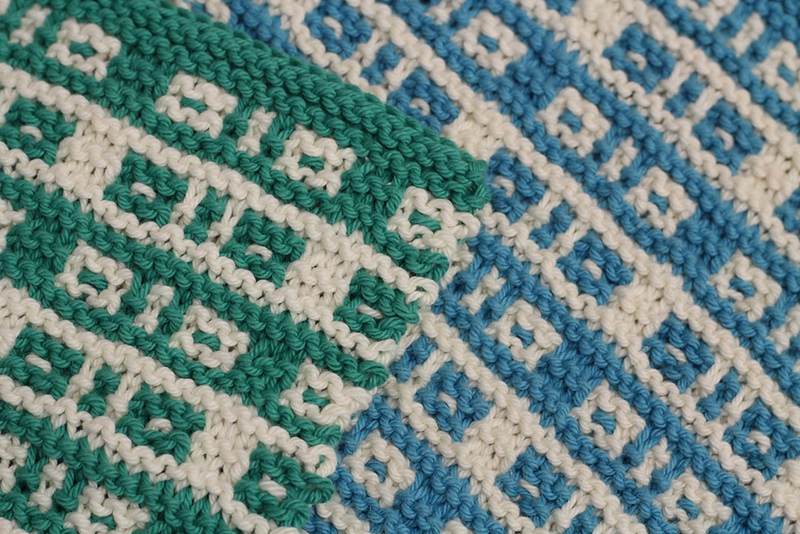 Mosaic knitting is a technique that creates beautiful and intricate finished projects with the simple slip stitch. What it makes it different from other types of color work is that you’re only working with one strand of yarn at a time. For such a simple technique, mosaic knitting is quite versatile. 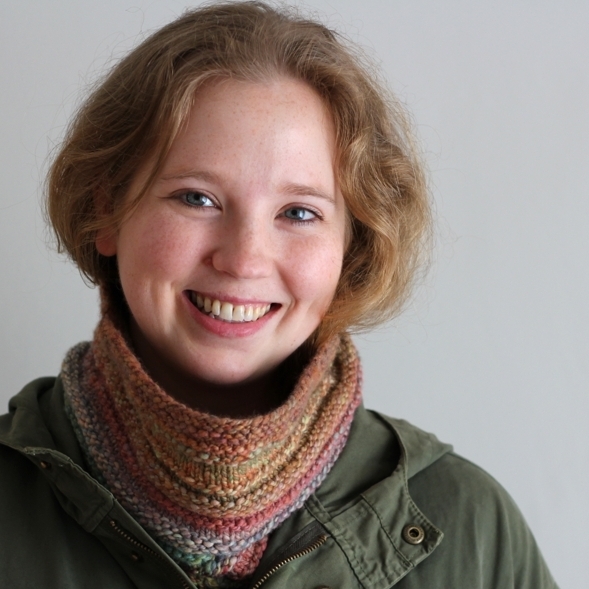 It can be worked in garter stitch or stockinette. It can be smooth or textured. It can be worked flat or in the round. The patterns can be bold and geometric or create simple images and all manner of things in between. There’s no limit to the type of project it can create either. Mosaic knitting can create scrubby washcloths, cushy socks, warm shawls, slouchy hats, and colorful blankets. Aside from slipped stitches, the real reason why mosaic knitting works is that it's based on 2 row stripes. So if you can knit stripes, you can mosaic knit. To work a stripe of mosaic knitting, you work across the first row and slip certain stitches purl-wise to create the pattern. On the second row, the stitches slipped on the first row are slipped again. Then it's time to make the next stripe. 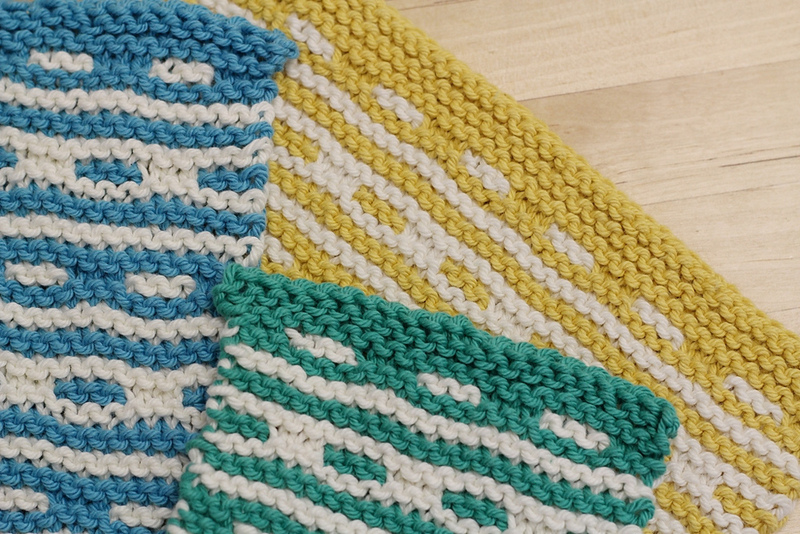 Drop the first color and work the next stripe with a second color and slip more stitches. As the stripes repeat, the slipped stitches build on each other. The below GIF shows the stripes and slipped stitches adding up to make the finished design. Mosaic patterns are presented as written, charted, or with a combination of the two. Small patterns might only be written. The key abbreviations in written mosaic patterns are slX, wyib, and wyif. sl means to slip a stitch purl-wise and the X afterward tells you how many stitches to slip. wyib and wyif are paired with slX. wyib means to slip the stitch with the yarn held behind the work on the wrong side. wyif means to slip the stitch with the yarn held in front. If you don’t see wyib or wyif or any variant of them, it’s assumed that the yarn is always held to the back of the work. The other important abbreviations are MC, Main Color, and CC, Contract Color. The different colors might also be referred to as C1 and C2 or Color 1 and Color 2. Cast on 15 stitches (a multiple of 4+3) with C1. Repeat the 4 rows until piece is desired length. End on Row 2 and bind off. If the above pattern were charted, there are 2 fairly standard ways the chart could be presented and it’s designer’s choice. The difference between the two styles is in how the 2 row stripes are presented: a stripe, 2 worked rows, per chart row OR every row is charted. Personally, I prefer the chart where it’s one stripe to a row because it gives a better visual of the finished pattern. If I make a mistake early in the pattern, I find it easier to notice if I have the chart to compare it too. Also, it's easier to find my place again if I put the project down for a bit. The two styles do share some similarities. Both will show show what color to use either in column on the right side or on the chart row. Rows are usually numbered. Both charts will use the same symbols to show when to slip. There are 2 common versions of the slip symbol. Always read the instructions on the pattern though in case the designer has different instructions for a symbol. V means to slip the stitch purl-wise with the yarn held on the on the wrong side to the back of the fabric. A V with a horizontal line through the middle or underneath means to slip the stitch purl-wise with the yarn held in the front on the right side of the fabric. To work from the 1 stripe (2 rows) to a chart row style, you read the rows first from right to left and then backwards from left to right. This means that each row is worked twice; once forwards for the right side and once backwards for the wrong side. If the pattern is worked in the round than you’d work both rows from right to left because you’re always working on the right side of the fabric. To work from the 1 chart row equals 1 knit row style, you’ll always read from right to left. 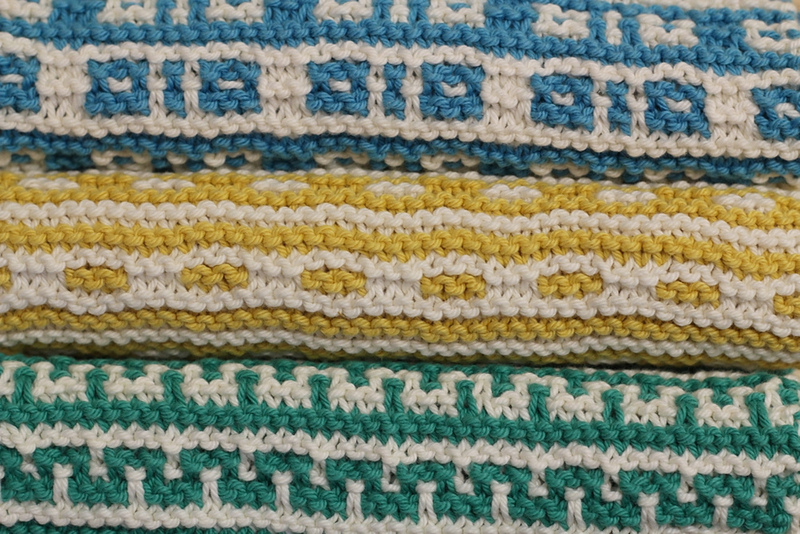 The 1 to 1 style chart is more common for mosaic patterns knit in the round. However, as is the case with the Pair-a-normal Socks, the same mosaic effect can sometimes be made with 1 row instead of 2. That’s everything you need to get started with mosaic knitting and start the Mosaic Sisters! Have fun and knit on!